Brookline Public Schools are canceled for Thursday, Jan. 4, the School District announced Wednesday evening at 4:30 p.m. Cue the collective cheer for students with dreams of sledding (or sleeping in). There will also be a parking ban in effect in Brookline beginning Thursday morning at 7:00 a.m. until 6:00 a.m. Friday, according to Brookline’s Director of Public Works Andrew Pappastergion. Brookline already prohibits parking overnight but when a parking ban is in effect it also means no parking on any public way around town to leave room for the snow plows, or you risk getting a ticket and towed. Trash will be collected as scheduled on Thursday, Friday and Saturday. DPW is asking residents place all trash at curbside by 7:00 a.m.. Christmas tree pickup will begin again Monday next week. 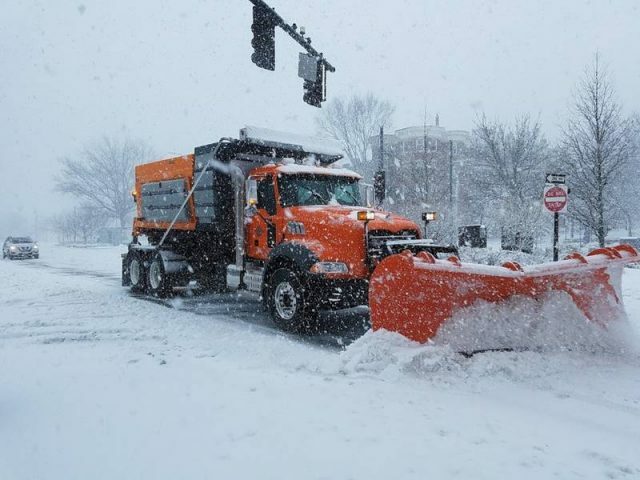 “Due to the large amount of predicted snowfall, please be aware that DPW plows will be pushing back snow banks as much as possible to allow for safe passage of emergency vehicles,” reads an alert from Pappastergion. All of Brookline’s library locations will be closed on Thursday, too, but they anticipate regular hours on Friday, January 5, 2018. Why? There is a blizzard ahead. Brookline made the announcement at 3:00 p.m. and joins Waltham, which was one of the first cities in the Greater Boston area to declare a snow emergency, announcing it just before 11:00 a.m. Superintendent Andrew Bott made the announcement Wednesday afternoon just past 4:30 p.m.. Today at 2:27 p.m. Boston Mayor Marty Walsh announced that there would be no school for Boston students. Also important to remember: Residents and businesses have 30 hours after the end of a storm to make sure there’s a safe, shoveled not slippery path for folks to walk in front of homes and businesses. AlertBrookline: Being informed is extremely important! Anyone who lives, works, studies, plays, has relatives, owns property, etc can sign up to receive emergency notifications from the Town of Brookline. You choose how we contact you: phone, text, email (or any combination). Everyone in your home, office and dorm should sign up for AlertBrookline. Sign up for AlertBrookline. Public Works Winter Guide: The Department of Public Works Winter Guide has useful information for property owners, businesses and residents regarding Snow Emergencies/Parking Bans, snow removal, trash and recycling pickup, and other winter-related topics. 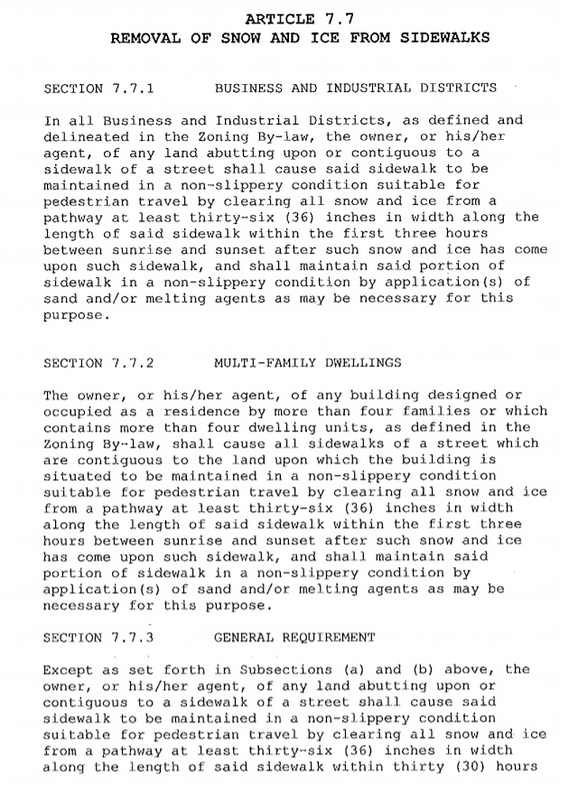 Sidewalk Snow & Ice Removal By-Law: The Removal of Snow and Ice From Sidewalks By-law includes information for residents and business owners. Clear a path from the hydrant to the street. Power Outages: Inclement weather often results in power outages. Please add Eversource as a contact in your mobile phone or address book. Their number is 800–592–2000. Never report outages via social media. Always call your utility provider to report outages. For downed power lines, always call 911.